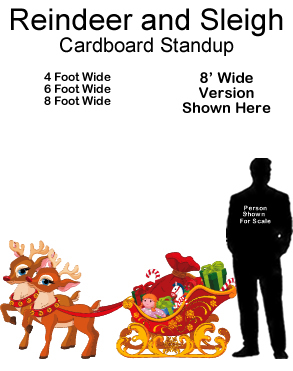 Santa's Sleigh Cardboard Stand-In - Dino Rentos Studios, INC.
Great for Holiday parties and events! Greet guests with this two-piece cardboard photo prop. Personalize Santa's Sleigh with your own custom message text. 6' high by 3.5' wide.